It might be timely that I write this review shortly after the release of the Federal Budget. With all the talk about deficits and being in the black, we naturally think about our own spending. 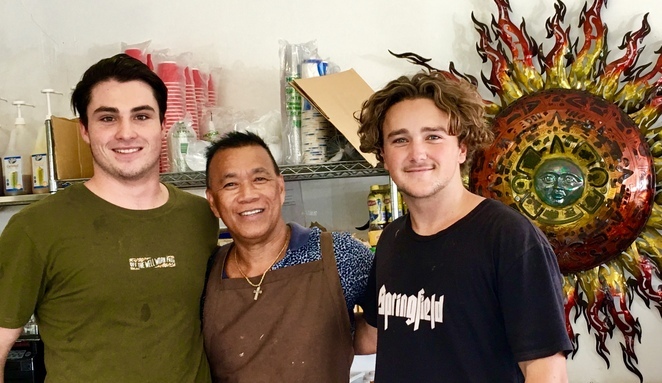 So, what has the Federal Budget got to do with Barrio Cafe Neighbourhood Espresso at Burleigh Waters? There are lots of places to eat out on the Gold Coast, but they range from inexpensive and Why would you bother!, to expensive and Yummmy! Anything in between is usually pretty ordinary. I have been introduced to a cafe where great food costs very little. 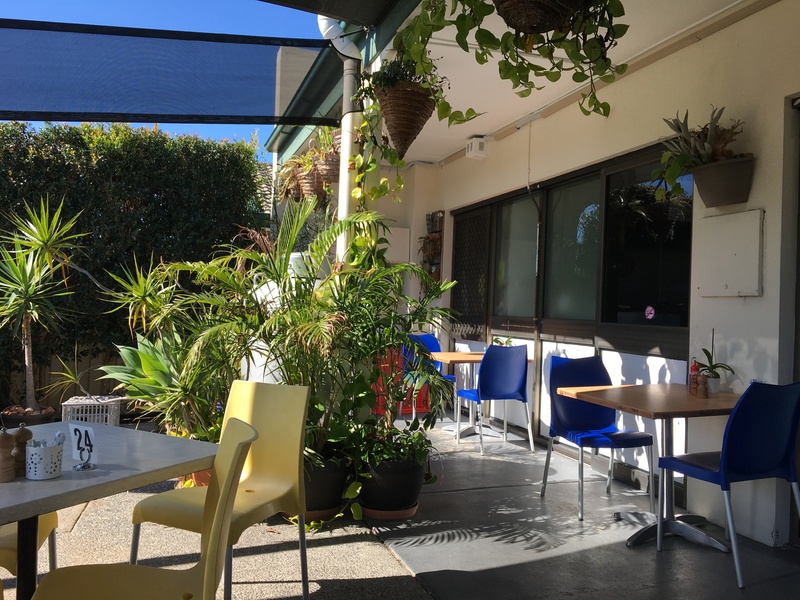 There's a cafe on Christine Avenue at Burleigh Waters Shopping Centre called Barrio Cafe Neighbourhood Espresso. As you drive down Christine Avenue towards Burleigh Heads (the Old Gold Coast Highway end), Barrio Cafe is on your right - not far from the tennis courts and on the opposite side. And there is plenty of off-street parking. A lot of my friends live on the Gold Coast, and we love catching up. 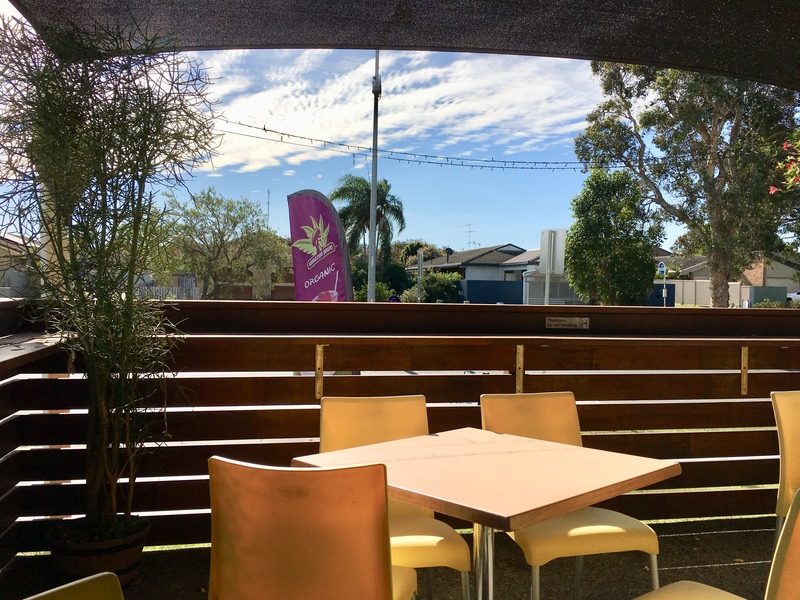 When Elizabeth and I decided to meet for lunch recently, Elizabeth suggested we meet at Barrio Cafe on Christine Avenue, Burleigh Waters. The outside dining area had a nice feel to it - undercover - and with a view of the street. 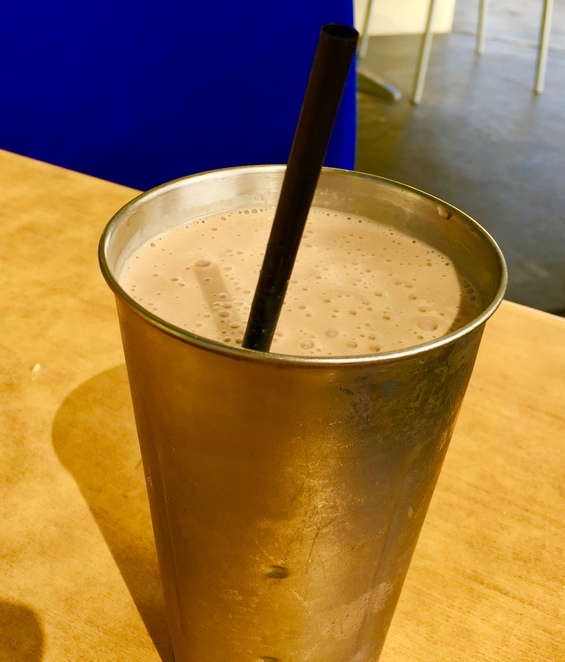 The breakfast menu extended throughout the day, so I opted for pancakes and a milkshake. Obviously, I don't hold too much with conventions, so pancakes at lunchtime is fine by me. Normally I would have coffee, but I had already had my quota of coffee for the day. Any more than my usual double-shot at breakfast and I'd be swinging from the chandeliers, but that's another story. The total cost of the order came as a bit of a shock. It was incredibly inexpensive! Oh well, I thought, it probably won't be too flash for that price. The pancakes arrived, beautifully presented - and they looked divine! Elizabeth accurately interpreted the look on my face and simply said "This is my local", which said it all. She explained that the food was inexpensive and delicious enough to bring her (and the family) back - often. 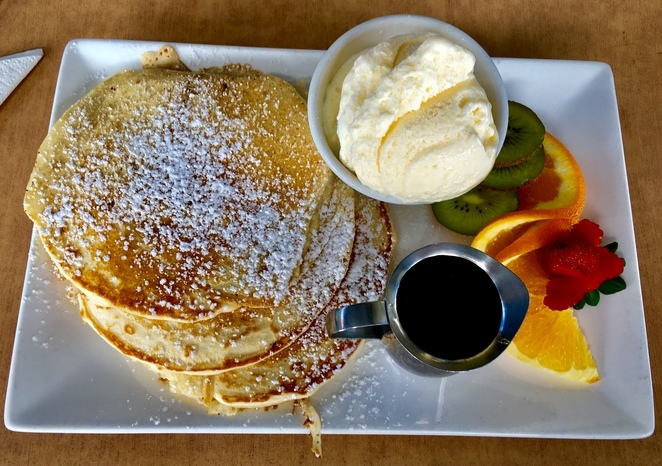 How good are these pancakes for $9.00 (at time of writing)? The first mouthful convinced me that Elizabeth was right. How did I miss this place when I used to work nearby? I could have been stopping here for breakfast and still been at work on time (Barrio Cafe opens at 7am). Did you notice the price?? ... maybe an extra special breakfast deal (current at time of writing)? Did I mention the great food? At time of writing (April 2019), a Steak Burger would set you back just $11.50. I might be Vegetarian, but I know steak is expensive, so this has to be the best Steak Burger deal on the Gold Coast, right? 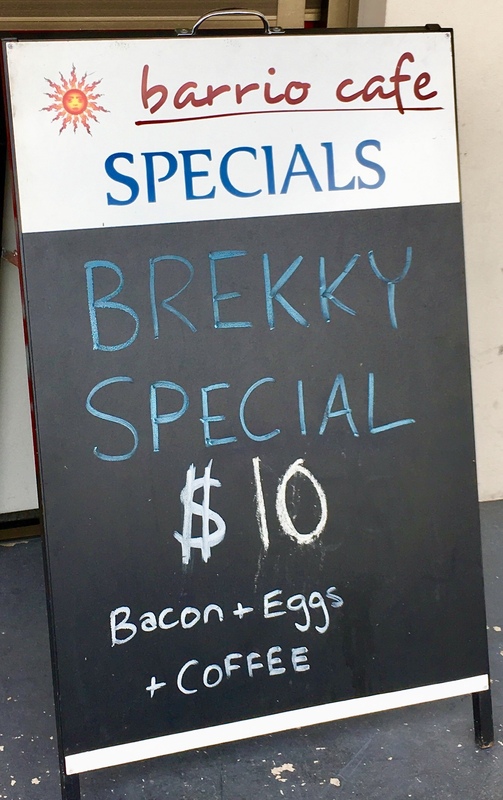 Given the constant stream of Tradies coming in for their lunch-time sustenance, I guess they reckon they're getting great value for their hard-earned dollars. 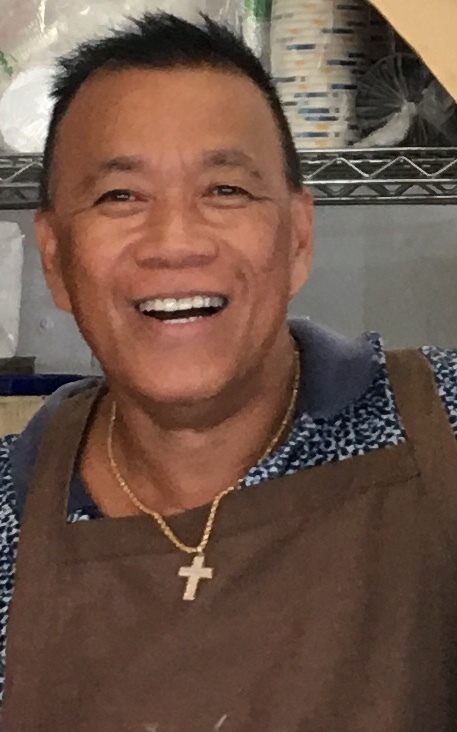 Barrio Cafe is owned by Bobby Martinez. If a picture paints a thousand words, then the smile on Bobby's face says more than any words I could say. Here is a man who loves what he does. Customers want value for money and that's what Bobby delivers. 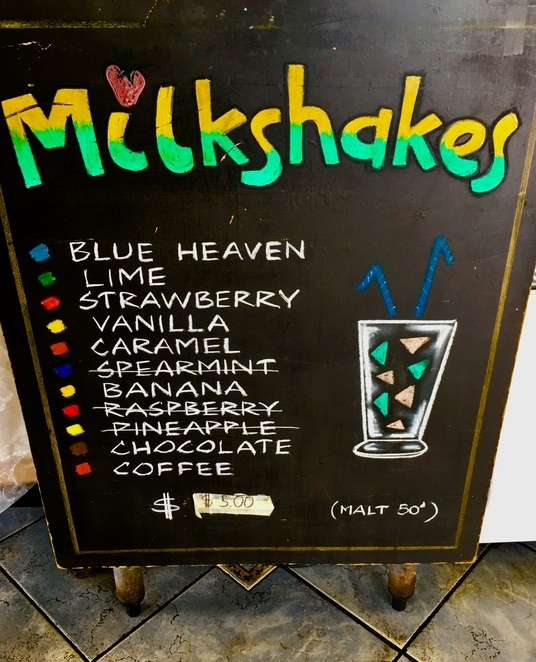 I'm going to digress a little and tell you about an upmarket cafe I dined at recently. Two lovely young waiters took and delivered our orders promptly, and courteously. But when the diners sitting near us finished their meals and left, the waiters stood behind the counter and chatted. When we left about thirty minutes later, their dishes were still sitting on the table. As diners around us finished their meals and left, one of these fine young men quickly cleared away the dishes and wiped the table down. And as time ticked away and it was getting near closing time, one of the young men mopped the floor in front of the counter. When I say mopped, I mean mopped! He didn't just flick the mop over the floor while thinking about something else, he conscientiously made sure every inch of that floor was mopped. I watched in awe as my mind wandered back to the incident with the two waiters at the upmarket cafe. The difference was outstanding. So whether you want a quick takeaway, or have time to sit and enjoy, Barrio Cafe has you covered. I don't live close enough to dine at Barrio Cafe every day. But if you do, or are travelling through the Gold Coast, get over to Barrio Cafe soon and check out this amazing place! 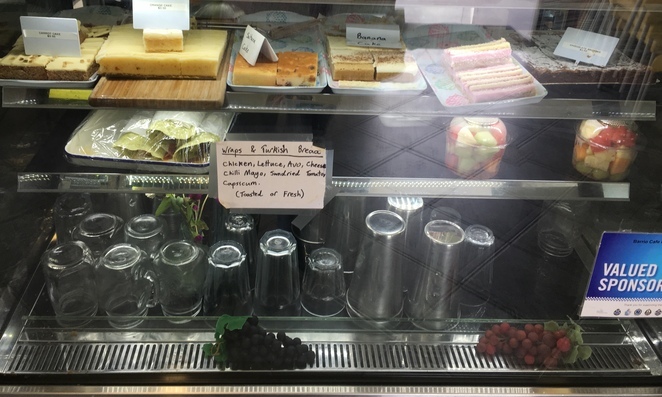 While Federal Budgets usually involve some belt-tightening, Barrio Cafe lets you loosen the belt a little and enjoy a meal out, more often. Barrio Cafe proves that inexpensive can be Yummmy! So put the kids in the car and make your way over to Barrio Cafe for breakfast or lunch, and see for yourself! Why? Great food and service, without busting the Budget. Cost: Very affordable prices - bring the family! I'm always on the lookout for cheap brekky. Thanks Maureen. Great article, Maureen. I'm happy that you're back, I missed your humour! Well written, very engaging. Thanks!